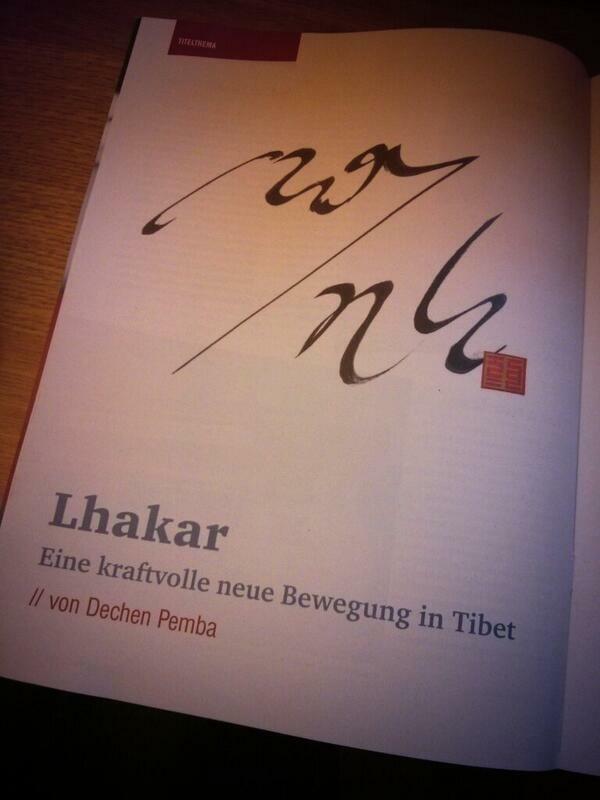 It’s always satisfying to see an article in print and yesterday, on Lhakar, two copies of the latest issue of Brennpunkt Tibet arrived in my snailmail postbox! Thank you to Tibet Initiative Deutschland for commissioning and publishing the article, Brennpunkt magazine is available to order from their website here. 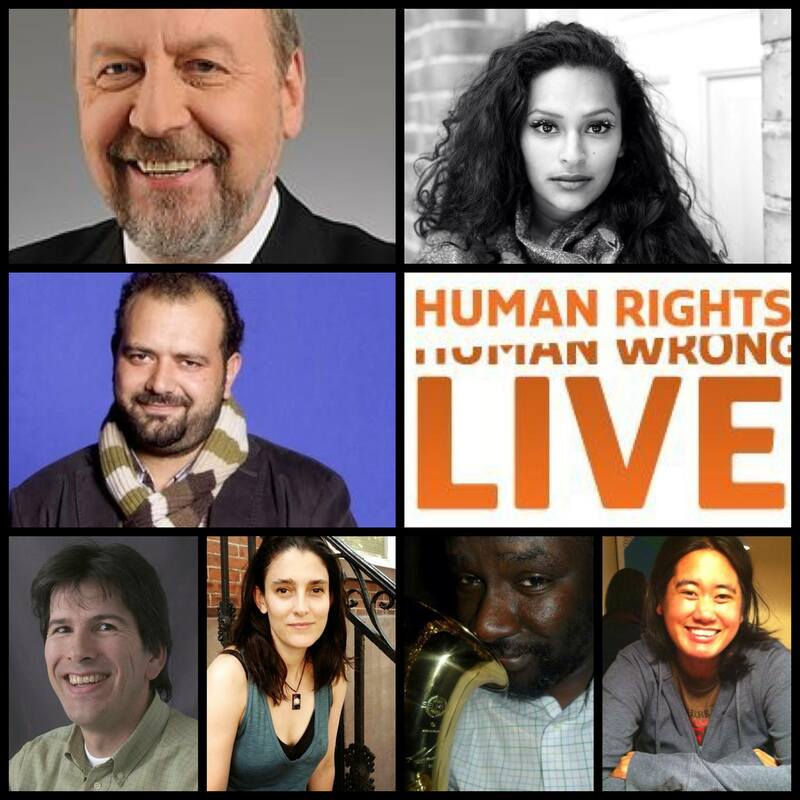 Next up I’m really excited to be a Festival Guest at “Human Rights Human Wrongs” next week in Oslo. The Festival itself looks amazing, from February 4-9 there are going to be a whole bunch of film screenings, related events, seminars and concerts. I’m really happy to support the “Banned Expressions from Tibet” campaign and looking forward to seeing the documentary at its premiere in Oslo on February 6 at Kino Victoria. I’ll be talking about the situation in Tibet for singers, musicians and artists and reading some poetry too. On the evening of February 7, we’ll be at a special “Banned Expressions” concert featuring Tibetan musician Loten Namling. I stole this photo from the Horniman Museum’s Instagram account, I think. Sorry I can’t find the original link but copyright belongs to Horniman Museum, obviously. In the meantime I’ve been thinking about how often last year Tibet in museums came up as a topic for me, quite randomly and not through any real effort on my part. First up last year came the interview with Clare Harris, author of “The Museum on the Roof of the World” which I was asked to do by Cerise Press. I was very kindly sent a review copy of the book and spent my Christmas and New Year 2012/2013 making my way through it which was a lot of fun, as was subsequently attending the book launch at the super quirky Pitt Rivers Museum in January 2013 and then actually doing the interview and talking at length with Clare. Being made to think about Tibet in terms of objects and how Tibet has been represented in museums through the years was new for me and then, out of the blue, in early February 2013 my parents and I were invited to take part in a one-day workshop at London’s Horniman Museum on Tibetan food. The workshop was part of a “Collections People Stories” project that was being carried out by the curators at the Horniman Museum and their theme was ‘Food and Feasting’. 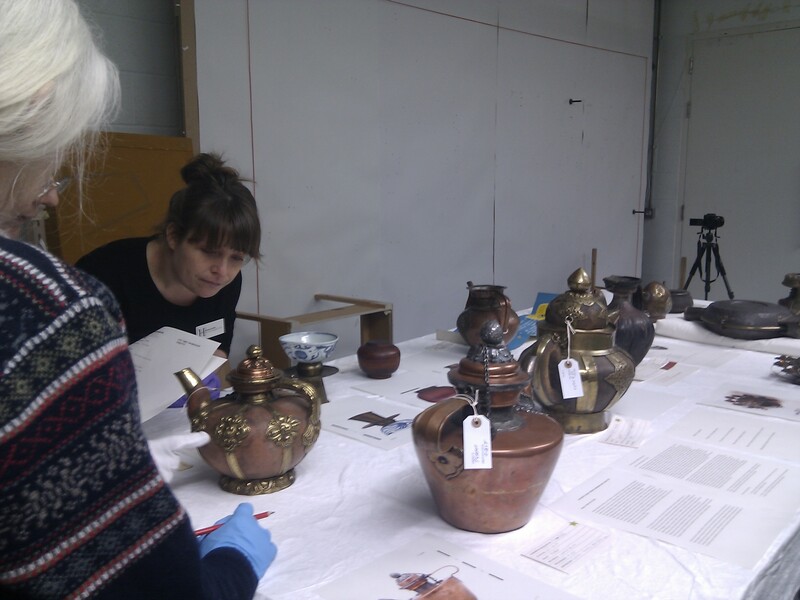 What was so great about this project was how the Horniman Museum were really intent on bringing their collections to the people and in particular to the Tibetan community in London. In fact, a fortunate coincidence is that the Tibetan population in London has been steadily growing not so far away from the Museum at all – in and around the Woolwich area in south-east London. That’s how the film crew from the Horniman found themselves at last year’s Losar event in Woolwich! The workshop itself had a fantastic format with the participants being a mixture of local Tibetans and Himalayans, curators, academics and also a monk and nun from the Kagyu Samye Dzong Buddhist Centre, also in south London. In the morning we heard talks from the organisers and in the afternoon we got to see a selection of everyday objects from the Horniman’s Tibet collection all related to food. I think that Tom said it really well in his blogpost when he wrote: “For many Tibetans in London, Tibet is somewhere which cannot be returned to. For those born outside of Tibet, it is somewhere which they may never know.” The impressive range of tangible objects were from various expeditions to Tibet by people such as Otto Samson and Colonel F.M Bailey and they took us right back to a different time. 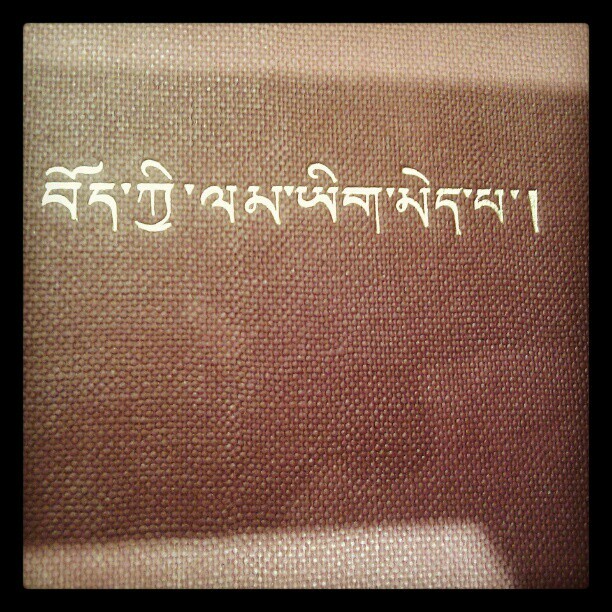 Rummaging around our bookshelves at home later, I also dug up an edition of Colonel Bailey’s 1957 book, “No Passport to Tibet” which was quite exciting, here is a photo of the cover below. Anyone who knows me knows how much I love food and find the topic of food really interesting in general. 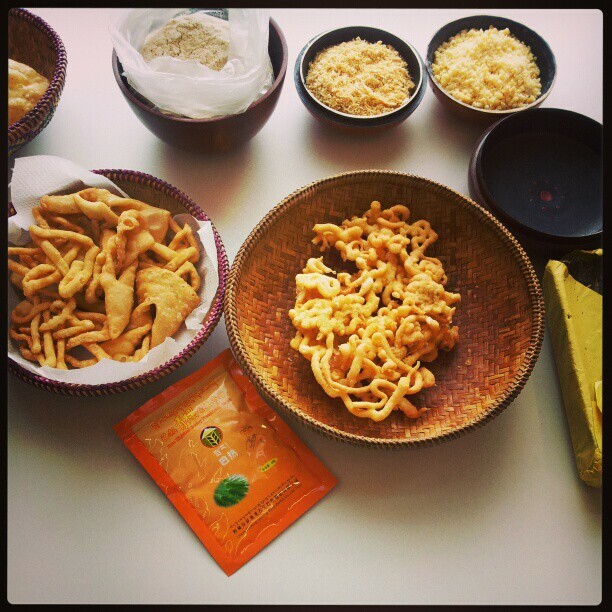 One thing I was able to contribute to the workshop were some thoughts about Tibetan identity and Tibetan resistance as related to food, based on the blogpost I had written in early 2011. For the best way to know what the day at the Horniman was like, take a look at the great video they made of the day, they did a wonderful job of putting it all together whilst also making it look really nice! What was so nice though was that after learning that my father was born in Yatung, in April 2013 Tom from the Horniman invited my parents and I to their stores to look at more objects, this time all from Yatung. Even though it’s taken me months to write up everything that happened with the Horniman Museum, I felt that it was important to highlight the kinds of initiatives that put people in the centre and inspire you to learn and read more and pay attention to the past, and especially to the funny way that your own history ends up literally on your doorstep!